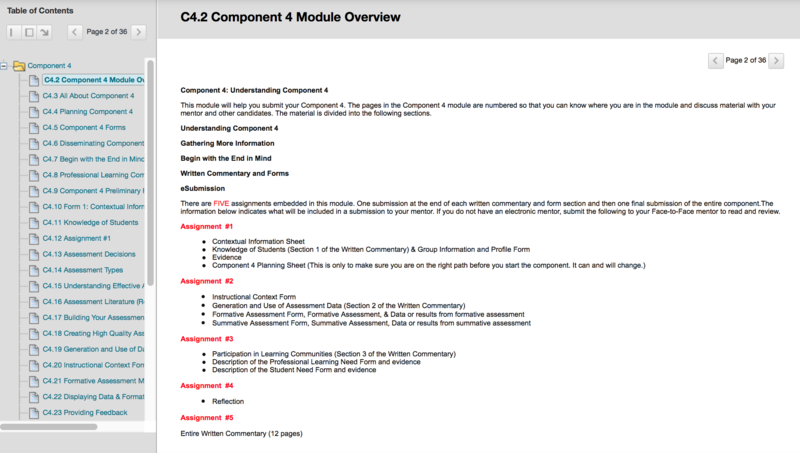 Course Description: Candidates will work through a series of modules, complete tasks and assignments, and submit work to a certified NBCT for feedback. The World Class Teaching Program at the University of Mississippi is excited to share with its candidates a NEW, one of a kind, candidate resource. Available in the summer of 2017, registered all candidates will be placed in the WCTP 601 Self-paced Blackboard Course. 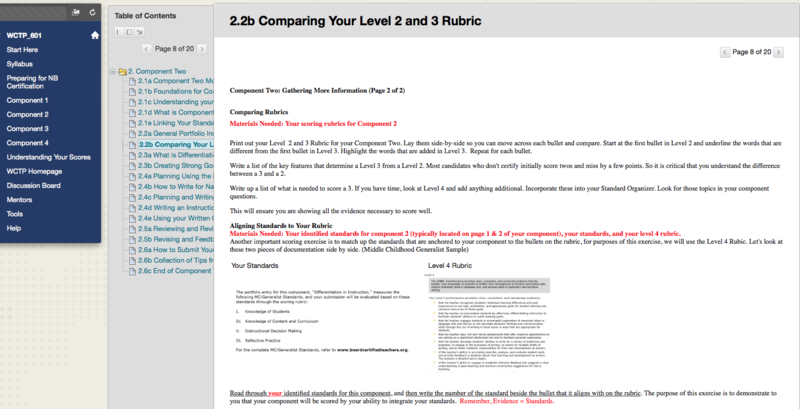 This course is for two types of candidates. 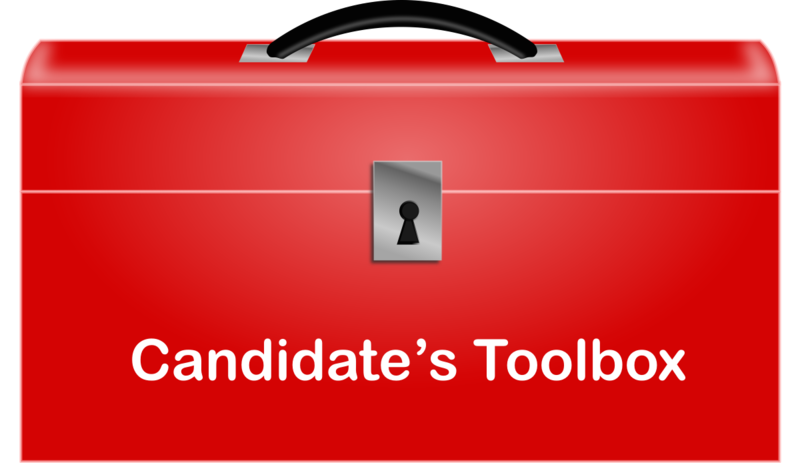 Traditional, Face-to-Face Candidates – This will serve as a supplement resource that should answer most if not all of your questions about what to do. Mentors will also have access to this course. 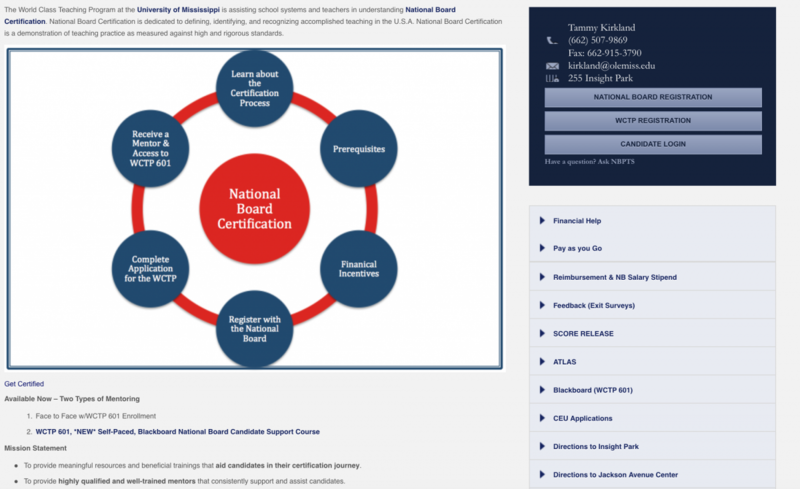 This course will be used throughout your certification journey. Long distance Candidates (Mississippi Teachers) – Where you live no longer matters! 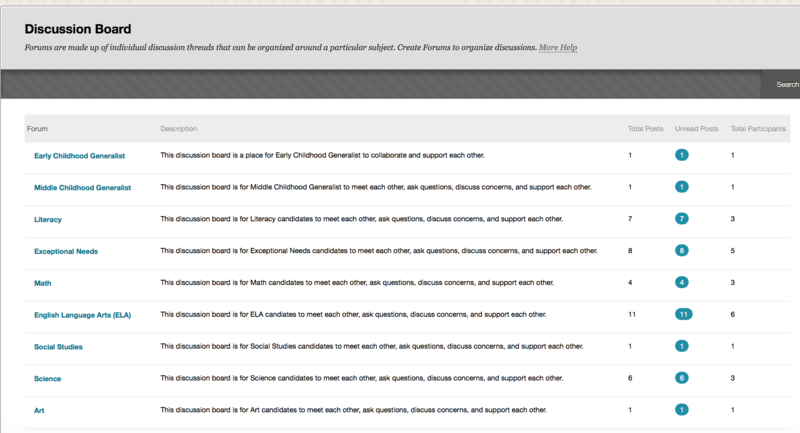 You can now receive candidate support through the WCTP 601. Long distance candidates will be paired with an electronic mentor. 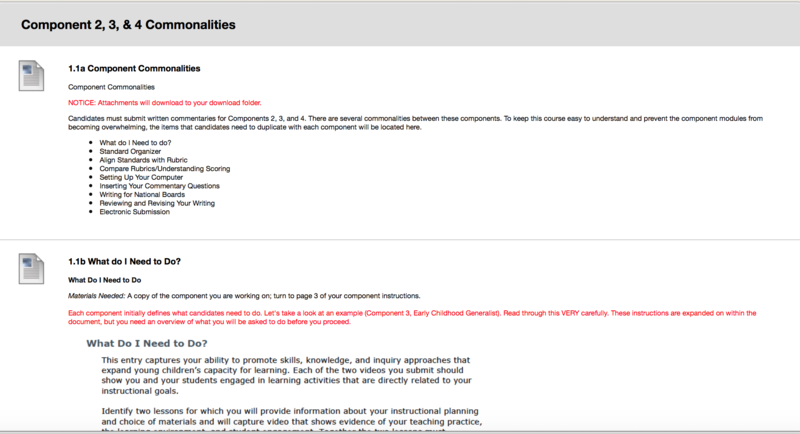 As you work your way through the components, you will submit specific assignments to an assigned mentor. The mentor will complete specific feedback forms and return it to you with high quality feedback. CEUs can be earned through participating in this course! How do I get placed in this course? Successfully complete the WCTP application. Please, visit our Start Here page for details.